After a semester filled with late nights, early morning classes, nerve-racking quizzes and stressful finals, you’ve made it to the end of the semester. It’ll feel like a weight has been lifted off your shoulders as you walk out of your final exam. First, you’ll probably want to take a nap to reward yourself for your hard work. But how will you celebrate? One great way to acknowledge your well-deserved holiday break is to throw a party for your classmates to unwind and high-five themselves. If you’re an educator looking for a way to engage with your students, hosting an event is a great idea. But what kind of entertainment will you have at your end-of-semester party? A mobile video gaming party is the perfect way to make sure everyone has a great time, and GameTruck is the only vendor you should consider. GameTruck Inland Empire––one of our many GameTruck franchises––is a premier entertainment provider in Southern California. No matter where you are in the Riverside–San Bernardino–Ontario region, we’ll bring the fun to you. Here are some reasons you’ll benefit from our services at your end-of-semester party. After spending so much time with your nose buried in books, playing some of your favorite video games with your friends is an incredible way to unwind. Even if you aren’t a video game lover, GameTruck Inland Empire will have something you’ll enjoy among our dozens of video game titles. With you and your guests likely exhausted from the school semester, a fancy extravaganza is the last thing on your mind. 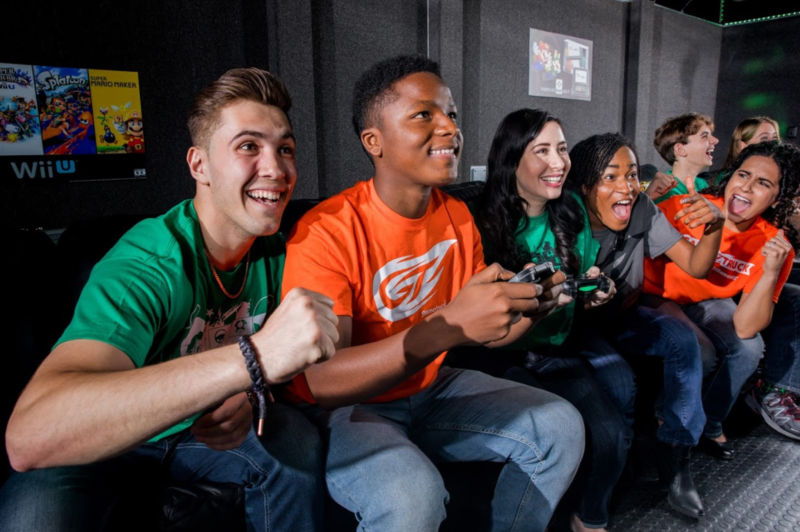 A GameTruck party is perfect for any event, regardless of formality, and it’s a great addition to an already laid-back end-of-semester shindig. You’ve already had enough to worry about these past few months. Don’t let party planning become another stressor. When you plan your event with GameTruck Inland Empire, we take care of the details. From providing invitations to staffing every party with certified GameCoaches who make sure the party goes well, we’re here for anything you need. Reach out to GameTruck Inland Empire to get the end-of-semester fun started. Call our team at 866-253-3191 or click here for a personalized party quote.